Please join us for Yom Kippur services. For security and organizational purposes, PLEASE REGISTER ASAP for services and children’s program if you have not done so already. Join us for our Sukkos programs. Home to the Annual Calgary Community Menorah Lighting Ceremony is an event you won't want to miss! Bring your family and friends to share the light of Chanukah! Come meet special dignitaries from the city of Calgary and representatives from our local Jewish Organizations. 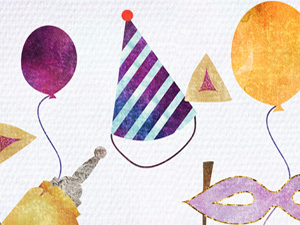 Celebrate Purim this year with Chabad! Enjoy some Hamentashen and share Mishloach Manot with those around you. The Passover Zone is your One Stop for all your Passover needs. Shavuot is the second of the three major festivals (Passover being the first and Sukkot the third) and occurs exactly fifty days after the second day of Passover. This holiday marks the anniversary of the day when we received the Torah at Mount Sinai. This is a biblical holiday complete with special prayers, holiday candle lighting and kiddush, and many forms of work and labor are prohibited.